The original and best steakhouse in Crested Butte since 1981, the iconic Wooden Nickel, one of the few remaining historic, ski-town bars, is known for serving the finest steaks in town. The Nickel specializes in USDA Prime graded, tender Filet Mignon, N.Y. Strip, Rib Eyes and our famous, succulent Prime Rib. Our menu additionally features Elk Tenderloin, Rack of Elk, Alaskan King Crab, Pork Chops, Rack of Lamb, fresh grilled seafood and fresh garden salads. The largest and best Burgers, Buffalo Burgers and Chicken Fried Steak add to your menu choices. Giant Lobster Tails and a variety of Surf and Turf specials are available nightly. The historic bar offers a wide range of martinis, your favorite liquors and, to compliment your meal, a select wine list at attractive prices. 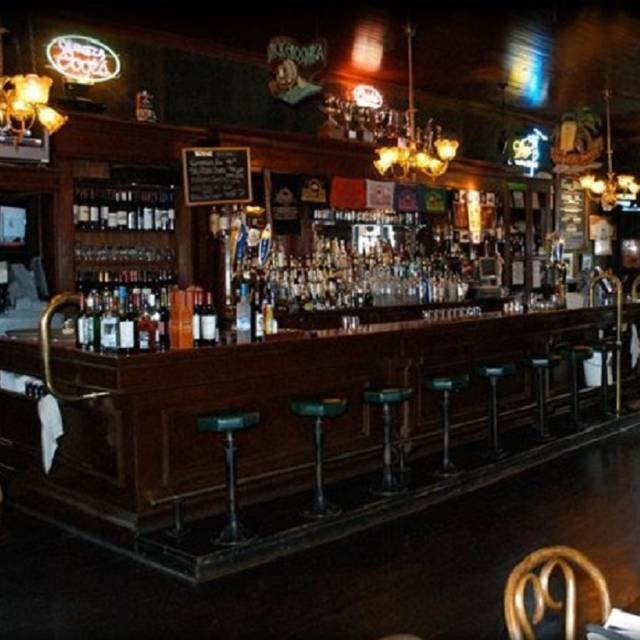 Please join us for your special evening out at Crested Butte's oldest bar and steakhouse....Classic yet casual. Enjoy our succulent, herb-crusted, hand-rubbed Prime Rib, slow-roasted for optimum tenderness! A superb cut, prepared to perfection! Elk is much leaner than beef, and as such, we recommend a cooking temperature of medium rare. A great way to remember your visit to the 'Butte! The most tender of beef cuts! Food was amazing, highly recommend the elk and the mussels! but service was terrible. The atmosphere wasn’t welcoming at all, the people weren’t either. My friends and I walked in the room, and we felt like outcasts, and the server treated as such. My sister ordered a drink and another server didn’t bother to ask who’s it was, just slapped it on the table. But I hope her 7 dollar tip was enough:) maybe next time service can be a little better and more professionalism. All I recommend. I have been dining at "The Wooden Nickel" for 35 years. Best place in town for anytype of food. Very friendly place. The owner runs a great operation!!! The dining experience was more of a bar atmosphere with prices that reflected a better restaurant. Great place to go and have a drink, but a bit noisy and somewhat crowded. Food was ok just a poor value for the price. Meet you buddies after work and enjoy, do not go and dine with a date. Staff and service was great which was a bright spot in a dull environment.